FSS has a wide range of custom fume hoods to suit your labs specific needs. We have bench top, ADA, walk-in, perchloric acid, radioisotope/biochemical, auxiliary air fume hoods and flex fume hoods. 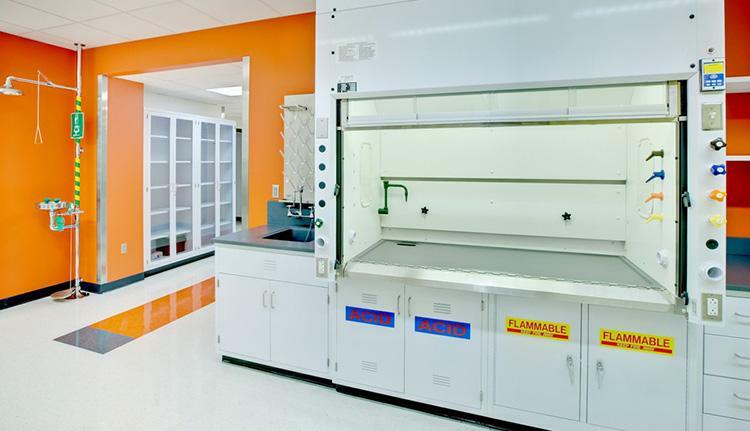 Our chemical exhaust laboratory fume hoods meet or exceed SEFA 1 standards. We are also UL 1805, ASHRAE 110-1995, and UL 1275 listed.